The Journey Neighbourhood Centre is pleased to announce that Kyrel Thompson will be joining our staff as the Program Coordinator, as of Monday, June 4, 2018. 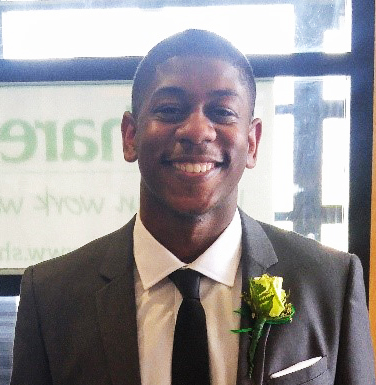 Kyrel has always had an interest in serving and working with youth and the community. He has taught basketball and sports to children and youth, worked at a community centre, volunteered teaching teens basketball and also worked with youth through various non-profit organizations. Kyrel is an honours graduate from York University, with a degree in Criminology, with a special interest in youth justice and social community development. In his spare time, Kyrel enjoys watching movies, reading, writing and performing spoken word, and eating just about anything.